Sparkling, unpacked decorations sit in boxes on the large, wooden table in a dining room of the home off Milledge Terrace. Festive bright red bows, green candles, and empty gift bags spill out, waiting to deck the Henderson’s halls. These overflowing bins of holiday cheer show part of the family’s Christmas spirit, but they are no match for Allen Henderson’s love of the holiday. On Dec. 12, Allen Henderson will celebrate his 67th Christmas. He was supposed to be born in early January 1951, but Henderson came six weeks early. “My mother claims that only after a Christmas or two, she knew why I came early — that I did not want to miss Christmas in ‘51,” Henderson remembered. Nearly 37 Christmases later, he married a woman who shared his affinity for the holiday season. The couple has two children, Robert, 24, and Margaret, 23, who both live in the Athens area and join their parents in many beloved holiday traditions. 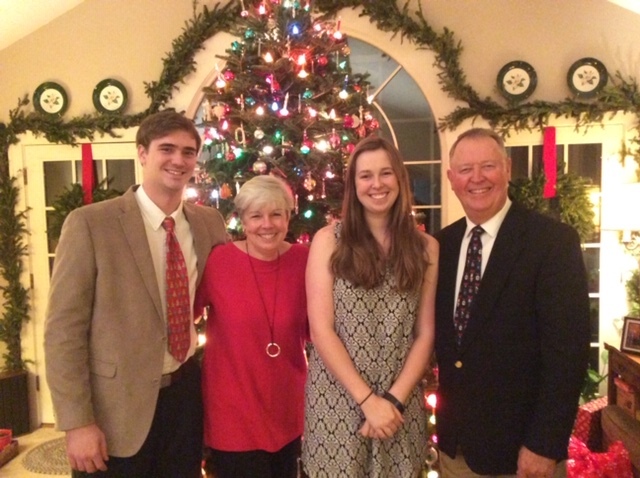 Allen and Susan Henderson pose with their children, Robert, 24, and Margaret, 23, in front of the family Christmas tree in their Milledge Terrace home. One of those traditions began before the Henderson children were born and centers around Allen Henderson’s favorite part of the holiday: the Christmas tree. In 1992, Henderson borrowed his father-in-law’s pickup truck to bring back Christmas trees from North Carolina for friends and family. One of the properties he bought trees from was in Newland, N.C., the county responsible for producing the first frasier fir Christmas trees. Henderson noticed a for sale sign at the Newland tree farm years later and bought the land. The Hendersons’ work all year at the tree farm to make sure the trees are ready for the holidays. 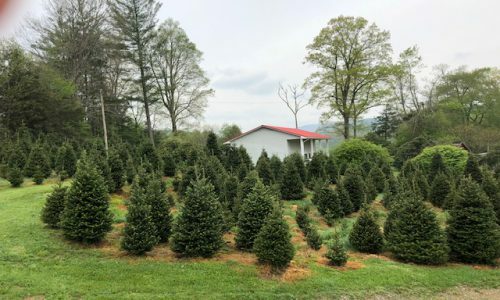 They harvest between 50 and 60 hand-selected trees on their piece of land and pick other trees from two different North Carolina tree farms to sell to invitation-only customers in their backyard. 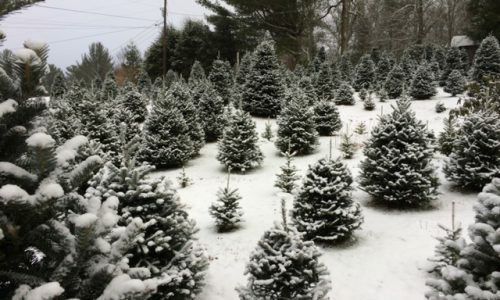 The Hendersons sell Christmas trees to invite-only customers out of their backyard. Each hanging blue string marks where a tree stood before being sold. 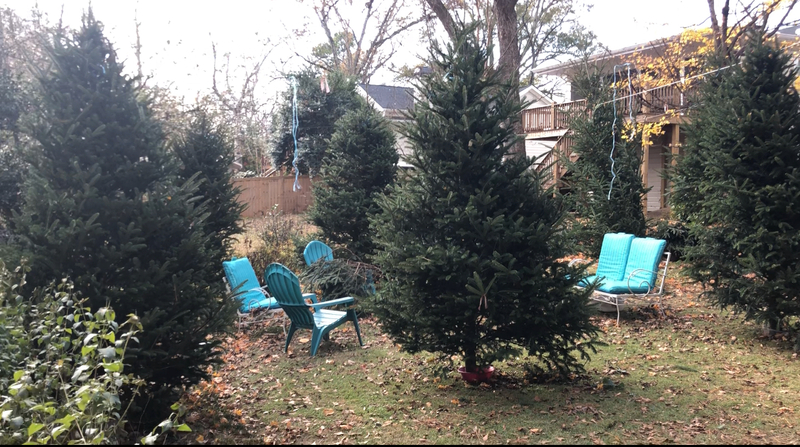 Allen Henderson’s business enhanced his love of Christmas trees, but the holiday focal point’s symbolism is more than physical.